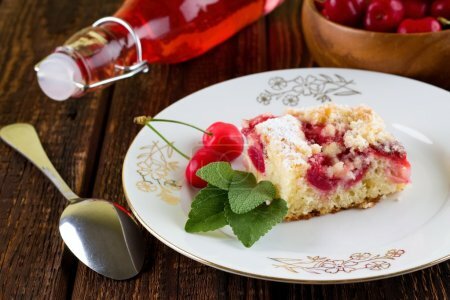 Horizontal photo of white plate with two cherries, few fresh herb leaves and one portion of fruit cake. Around plate are spoon, bowl and glass bottle with lemonade. All is on wooden board.